In Dale Carnegie's, "How to Win Friends and Influence People", there's a story about how one of the secrets to President Lincoln's success was that he never sent out a letter admonishing or criticizing others. If he had written a letter in anger, criticizing someone for their inaction, he would set that letter aside without mailing it, and instead write a new letter. Now, if you're a Gmail user, you didn't have the option to recall emails once they had been sent. However in June 2015, Google has finally launched the "undo send" option officially. 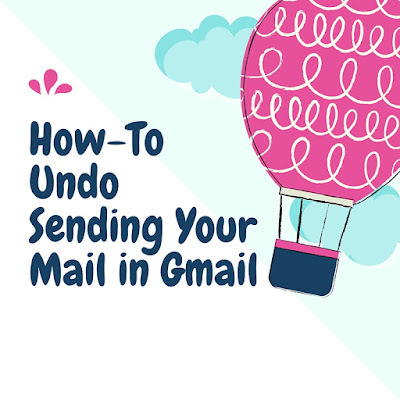 That said, many still do not know that this feature is now available so this guide will show you how to activate and use the Gmail "undo send" feature. 1. Click the gear in the top right . 3. Scroll down to "Undo Send" and click Enable. 4. Set the cancellation period (the amount of time you have to decide if you want to unsend an email). The current maximum is 30 seconds. Click Save Changes at the bottom of the page. 5. If you had Undo Send turned on in Gmail Labs, your Undo Send setting will be on by default. Note: To give you time to undo, Gmail delays sending the message for a few seconds. So if you don't select "Undo" within the time limit, your message will be sent. The next time you send an email, you will have the option to recall the message as shown in the picture above. Do take note that this option will only be available for the cancellation period you set earlier. Once the time has exceeded, your message will be sent.